1 x Sunglasses. Style: Butterfly. Size: 15.5 x 6.2 x 2cm/5.85 x 2.42 x 0.78". Length of legs:13cm. Color available: Leopard. 1 x Sunglasses. Lens Technology: Gradient. Length of legs:13cm. Size: 15.5 x 6.2 x 2cm/5.85 x 2.42 x 0.78". Women Sunglasses Mark&Spencer Condition is New with tags. Dispatched with Royal Mail 2nd Class Please see my other item thank you ! 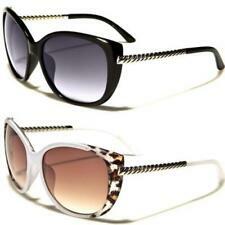 Whistles Cats Eyes Oversized Ladies Sunglasses. Black. With Case. 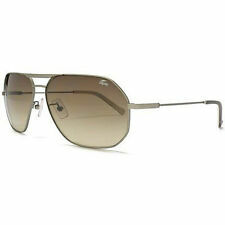 These elegant sunglasses are light and comfortable to wear, ideal for casual wear, driving or the beach. These oversized sunglasses are so chic. The condition is good, exactly as seen in the photographs with light marks/scratches here and there (see last photo). So if you have a normal or even small head profile these will fit because the arms are designed to angled in to hold. Adult Top Bar Style Sunglasses with Pouch. Lens Optically - Grey. Lens Category - 3 Bright Sunlight. GG Eyewear Women Designer White Sunglasses-Full UV400 Protection-With Free CASE! GG Eyewear Women Designer White Sunglasses-Full UV400 Protection-With Free CASE!. Condition is New with tags. Dispatched with Royal Mail 2nd Class. 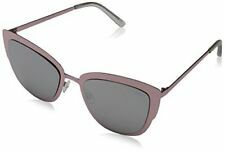 Foster Grants Ladies Oversized Round Sunglasses - Model No. GG Eyewear Designer Black Sunglasses SALE - Full UV400 Protection-With Free CASE. Condition is New with tags. Dispatched with Royal Mail 2nd Class. 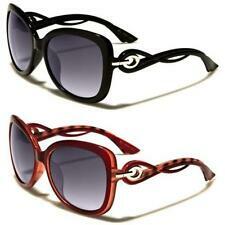 Ladies Bifocal Sunglasses PR81 complete with pouch and cleaning cloth. Gradient tinted lenses. UV Filter category 3 lenses. 100% UV 400 protection (UVA/UVB). Black microfibre lens cloth. These fabulously stylish oversized sunglasses provide 100% UVA and UVB protection, these practical ladies’ sunglasses are always on trend. These sunglasses conform to the standard BS EN ISO 12312-1:2013 and provides 100% UVA and UVB protection from the sun's harmful rays. Gradient tinted lenses. Protective travel case. Ladies Bifocal Sunglasses PR80 complete with pouch and cleaning cloth. 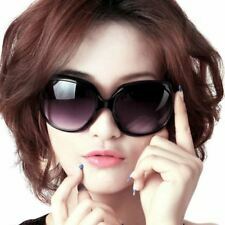 GG Eyewear Women Designer Brown Sunglasses -Full UV400 Protection-With Free Case. Condition is New with tags. Dispatched with Royal Mail 2nd Class. GG Eyewear Designer BLUE Sunglasses Sale- Full UV400 Protection - With Free CASE. Condition is New with tags. Dispatched with Royal Mail 2nd Class. Model: PLD4014 V08. While non-polarized lenses just make things look darker, Polaroid polarized sunglasses block virtually all glare. Colour: Brown Havana. Lens: Brown Polarized. Included: Box, Microfibre Pouch. GG Eyewear Designer Mat-Brown Sunglasses - Full UV400 Protection-With Free CASE! GG Eyewear Designer Mat-Brown Sunglasses - Full UV400 Protection-With Free CASE!. Condition is New with tags. Dispatched with Royal Mail 2nd Class. GG Eyewear Designer PINK Sunglasses Sale- Full UV400 Protection - With Free CASE. Condition is New with tags. Dispatched with Royal Mail 2nd Class. One STUNNING Rare Pair of PHILLIP LIM x MARKUS LUPFER Designer Sunglasses. Markus Lupfer & Linda Farrow Collaboration. "MADE in JAPAN". 100% UVA/UVB protection. "for sale". Gender: Unisex. Lens Colour: Grey. Primary Colour: Dark Green. Tom Ford Sunglasses FT0428/S 01A Edie. Bridge Size 17mm. All sunglasses lenses give100% UV protection. Black with Grey Lens. Temple Length 115mm. Lens Size 68mm. Bridge Size 15mm. All sunglasses lenses give100% UV protection. Temple Length 145mm. Lens Size 59mm. Gradient tinted lenses. 100% UV 400 protection (UVA/UVB). Black waterproof pouch. Black microfibre lens cloth. One STUNNING Rare Pair of LINDA FARROW x AGENT PROVOCATEUR Designer Sunglasses. Agent Provocateur & Linda Farrow Collaboration. Fuschia & Silver. "MADE in JAPAN". Approx 160 (mm) across the face at widest point. All our GG sunglasses feature UV400 & UVB Lens Technology, absorbing harmful UVA and UVB spectrum. UV400 Protection - Fashion Over-sized Sunglasses with FREE Hard Case and soft pouch. 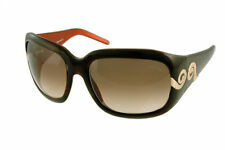 Stunning trendy GG Eyewear sunglasses One size fits all. 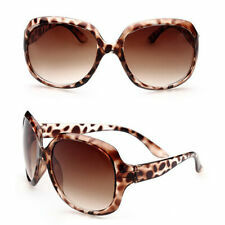 Stunning trendy GG Eyewear sunglasses One size fits all. All our GG sunglasses feature UV400 & UVB Lens Technology, absorbing harmful UVA and UVB spectrum. UV400 Protection - Fashion Over-sized Sunglasses with FREE Hard Case and soft pouch- Model : mat brown. Polaroid Polarized Sunglasses P4064/FSX 086. While non-polarized lenses just make things look darker, Polaroid polarized sunglasses block virtually all glare. Colour: Shiny Dark Havana Brown with Gold Diamante Temples. These unisex sunglasses from Animal are great value for money - so much so you can treat yourself to a couple of pairs without breaking the bank.